So... I have this thing with cherries! I think they are one of the most tasty (and most adorable) fruits! I occasionally get a hankerin' for cherry pie, cherry crisp (I'm salivating! ), dried cherries in my salad- heck, even a Cherry Coke! Mmm, I'm suddenly very thirsty! Ingredients: Cherries, sugar, cornstarch- (don't worry, its just a thickener for the sauce, you won't even taste it!) and water! Begin by washing your cherries! Feel free to admire their beauty! Alright, enough gazing, lets get to work! During my cherry research, I stumbled across the idea of using a paperclip to de-pit the cherries- you know how I have a special spot in my heart for paperclips (never leave home without them- attached to coupons of course! 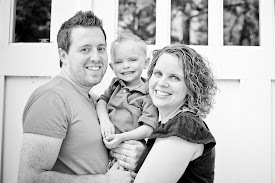 ), so I decided to give the idea a shot! The idea did work, but it was slow-as-molasses (and I was wishing that I had picked up a cherry pitter) so I used the edge of a baby type of spoon, and it was much faster! NOTE: OK, you must know that the cherries really will stain your hands- so either wear rubber gloves or bribe someone else to pit for you! 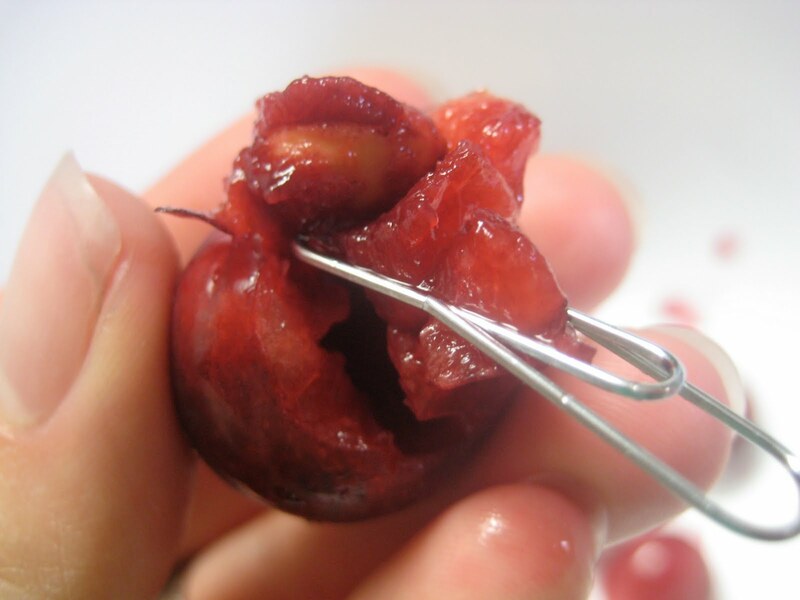 After all of your cherries have been de-pitted, they will look like this! Add your cherries to a sauce pan and add the sugar, salt and water. Bring the mixture to a boil, and then simmer for 5-8 minutes. This smells delicious! 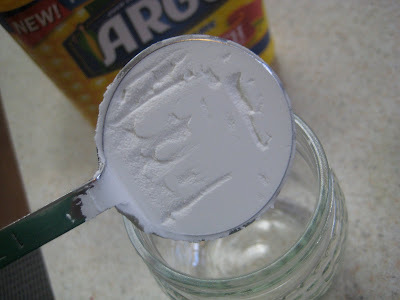 Then add a tablespoon of cornstarch to a tablespoon of water. My mother-in-law taught me to use a little lidded jar when combining powders and liquids- you shake, shake, shake and you're well mixed! 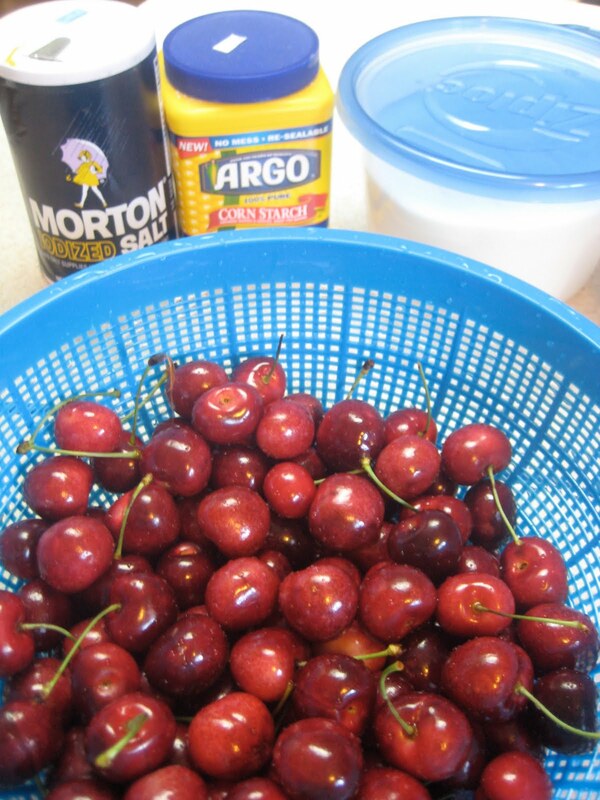 Add the cornstarch to the cherries and cook for 2-3 more minutes. I actually ate this bite- I'm not bragging, but merely stating the fact that I was the resident taste tester for this recipe! It passed! YUMM-O! OK, so what to do with cherry sauce? 1. Pour over ice cream! I actually pureed a little bit and I plan to add it to some home made ice cream (more on that in a later post!). 2. Make a cherry crisp! 3. Cheesecake topping- if you like that sort of thing! 5. Add the cherry juice to chicken marinating with Teriyaki sauce, grill, and top chicken with cherry pieces! 1 quart of fresh cherries. That's about 4 cups of whole berries. This would be wonderful to add to homemade yogurt! I have used many pints of cherry jam that just didn't set properly to flavor my home made yogurt. So, so good! I never though about adding the cherries to yogurt- brilliant! 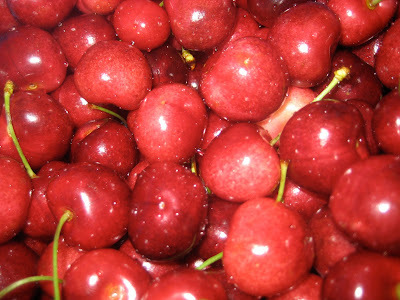 Thanks Laura, I just picked 4 pounds of cherries yesterday with two of the kids. This will be great to make, since we've about had our fill of fresh cherries!